Last December, I presented a 45-minute video webinar called “Step Up to the Gifts of Ease, Fun & Authenticity: Discover the Catalysts That Will Inspire New Momentum for Your New Marketing“ and it helped my define this new approach that I am calling Humanistic Marketing and I want to make this presentation available to you so that you can learn from it at your convenience. That’s why I am now making the video recording of this webinar available as an on-demand digital product so that you can watch it anywhere, anytime you want. And, because I want to spread my teachings as widely as possible, I am also including with any purchase of this recording (only $9.97) a complete formatted PDF of my book, “Internet Marketing: 8 Key Concepts Every Business MUST Know“ which has received 13 five-star reviews on Amazon. Please click here to learn more about this on-demand video webinar. How Did I Put This Product Together? I hope you enjoy this video webinar and my book. I look forward to any feedback that you may have. As a small business owner, it’s fascinating to watch my business morph over time. I am always finding new ways to be of service. I genuinely love helping people and businesses to be more successful on their own terms. Recently, the nature of my services have being changing. New offers for helping small businesses with their website, marketing and social media presence have included the 1-to-1 Get It Done Squarespace websites and the New Media New Marketing Playground group mentoring program. Both are collaborative processes where I work with people directly and respond to their specific needs in a customized way. While good listening and personalized responses have always been a crucial part of the value that I offer, at least to some degree, recently, I find myself calling myself a mentor more than a consultant. Yes, of course, I’m still offering strategic guidance and helping clients to connect the dots amongst the myriad of marketing choices and technologies available. But somehow, as we sort out the priorities, the “know it all” quality of a consultant no longer seems appropriate. It sounds too top-down vs the kinds of collaboration that are happening more often these days. Part of it also is probably that I am attracting and connecting with smaller businesses who are not so much looking for high level guidance (for example, connecting their marketing with their sales efforts as a larger organization might do) but rather they simply need help, want hand-holding, and to be shown by an expert how to do the things that they want and need to do. The biggest challenge for small businesses these days seems to be overwhelm. This is what I have been calling The Grand Canyon Gap between People and Technology since 1990. Now, with social media and the realization of The Video Web, there’s even more information and more kinds of marketing communication technologies consider. 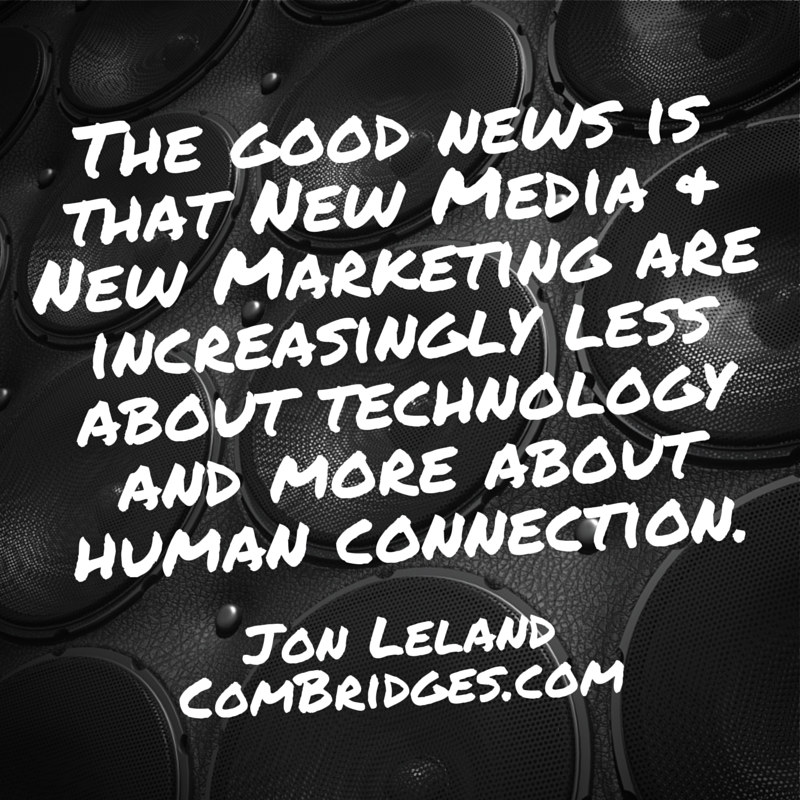 The good news is that New Media and New Marketing are increasingly less about technology and more about human connection. I still emphasize that it’s the communication, not the technology that’s most important; but these days, even more, I am emphasizing the human dimensions within the communication that are necessary to make them more engaging. My joy is not just helping to sort things out and chunk things down so that moving forward is managable, but I’m also quite consistently pointing to my humanistic values of ease, fun and authenticity as the foundation of an approach to online marketing that is enjoyable as well as effective. I call this The Humanistic Marketing Revolution. My passion for this approach is also encouraging me to continue to work on more educational programs, like the webinar that I did in December which will soon be available for sale, and the courses that I am currently developing which are about the value and importance of leading with humanistic values. More on these insights and these courses very soon. Meanwhile, I am thoroughly enjoying these new collaborative ways to support small businesses to grow while they develop the capacity to actually enjoy and embrace social media and the New Media environment. It really is a Playground for me and I’m open to more playmates. The more the merrier, really! This is especially true when we all are keeping our hearts open and having even more fun. How many “consultants” can say that? 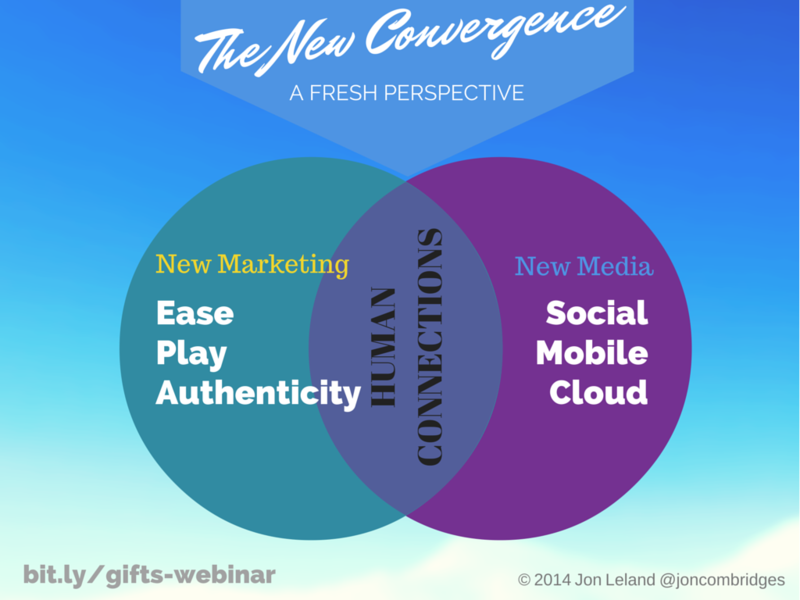 New Special Webinar This Thursday: How to Have a Happy New Marketing New Year! Are You Ready for a New Marketing New Year? I’m Cookin’ Up Something Better Than Egg Nog! Sorry for the late notice, but I’m offering this brand new webinar this This Thursday, 12/18 at Noon PT. Can’t make it? Register and you’ll get the recording. I’m a New Marketing Wizard! Despite the enormous power of technology’s revolutionary innovations, without the humanity of authenticity, enthusiasm and play that I believe are integral to New Marketing, there’s no way to get to the “holy grail” of the Human Connections that lead to sustainable, long-term business relationships. Anyway, that’s why this information is important enough for both of us to invest our time and for you to invest just a little bit of your money. I want you to enjoy this webinar and be uplifted by it, but I also want you to take it seriously. I would LOVE to help you have a very Happy New Year in the New Marketing world and you can also apply this payment to any of our offers, including The New Media New Marketing Playground or a special webinar-only Website & Social Media Audit that I will offer exclusively to participants in this webinar. But no purchase is “necessary.” This webinar will change how you view online marketing forever and that’s worth WAY more than ten bucks. YES. If you sign-up, you WILL get access to the Video Recording of this unique session. https://www.combridges.com/wp-content/uploads/2014/12/Venn-Diagram-2.png 768 1024 JonLeland http://www.combridges.com/wp-content/uploads/2017/06/ComBridges-Logo-300x60-300x60.jpg JonLeland2014-12-16 14:57:062014-12-16 14:57:06New Special Webinar This Thursday: How to Have a Happy New Marketing New Year! Play and storytelling are not generally thought of as important pieces—let alone as crucial components—of social media and internet marketing; but they are (and this fact is becoming clearer and clearer). I’m not just talking about these things. I’m doing them. 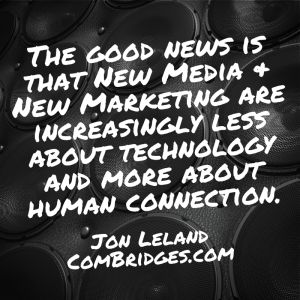 That’s why my group mentoring program is called The New Media New Marketing PLAYGROUND. Because Like Knows Like, my emerging series of videos is called “Talk Walkers.” This reflects the importance of authenticity in being attractive via the Web, and FYI, I’m also planning to take these interviews into the world of podcasting. More on that in a future post. Meanwhile, recently, I’ve been delighted to get to know David Drake of NarrativeCoaching.com. He’s a real big picture thinker. I like that 😉 And, I hope you agree that the insights he shares about the ironic process of taking an attitude of play more seriously, and in particular, about why storytelling is not only the leading edge of content marketing but it is also important for the process of connecting to your authentic voice (or brand). My first Talk Walker interview was with author, speaker, authentic social media marketing guru extraordinaire, Jay Baer. I think we’ve all felt the frustration of feeling overwhelmed by all of the Internet marketing and social media marketing options the online communications revolution has laid at our feet. Of course, what we would prefer to feel is the exhilerating thrill of our natural and authentic enthusiasm for what we are doing, the freedom of full self-expression without self-judgement, and a palpable connection to the value we are delivering. I know this feeling personally which is why it has been so exciting for me to have my new online mentoring community, The New Media New Marketing Playground come together so easily and to have such a wonderful group of heart-oriented people become part of this virtual Playground. What has been particularly encouraging is not only the quality of the people who have joined the Playground, but the opportunity to get actual feedback on WHY they joined. People like the idea of fun and play. It has a real appeal, especially in a marketing world where overwhelm is so much more common. People trust the space I’ve created with this offering. More than one of the members has shared with me that it feels like a “safe space to play” and that’s what they need. My recommendations of social media and new media tools and strategies are highly valued. Wow! I’m gratified and honored. No kidding. You are the master of ease and a guy who is a lot of fun and highly creative. I love your approach to things. This really is “a playground.” …It’s a no pressure environment. That’s fun, and that’s what I want. You are like a Google of internet marketing. I feel like I can type on your forehead “why create videos” and up will come like fifteen different resources and I’ve never heard of any of them. …It’s very helpful to people like me who really want to know what the best, easiest way is. It’s like instead of trying fifteen different apps you’re going to tell me which one to use. That’s really, really valuable. Please watch the video above for Suzanne’s complete comments, and please click below if you’d like to receive our occasional enews or become a Member of The Playground. As a special “thank you for reading” if you become a member between now and the end of tomorrow (Sept 17th), enter the Code “wonder” at check out and receive 20% off your Playground Membership. Please click here to subscribe to our “It’s a Wonderful Web” enewsletter. 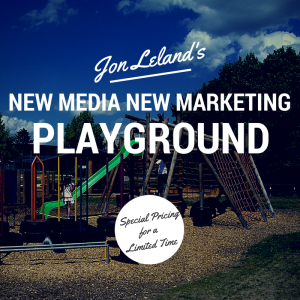 Click here to learn more or become a Member of The New Media New Marketing Playground. It has been a dream of mine to offer an on-going education and mentoring program, at an affordable price, and to use that to create an online virtual community (or tribe). This dream is now being realized with The New Media New Marketing Playground. And, because of the very special pricing that I am offering for the first ten people who sign up—and there are only a limited number of slots left—this program is clearly going to get off the ground in September (early sign-ups will get special free programs and early access during August, as well as special pricing). I don’t want you to miss out on these savings and this opportunity. Please click here for more details. More than ever, I am basing my coaching/consulting/mentoring on my values of ease, fun and authenticity. Thus, I know that if you join us, you will learn how to do marketing with more ease, my enthusiasm will help us all have more fun, and I will support you to connect with your own authentic voice in order to attract and build relationships with your ideal clients via the Web. So, if you think it would support your online efforts to have a place where someone very knowledgeable, who you trust (you trust me, right?) is available to answer your questions about online marketing technologies and strategies, as well as to share with you what’s new, what’s working, and what mistakes to avoid… and to have this program be very affordable so you can make progress in your business step-by-step and feel good about it, I would love to make myself available to support you via The Playground. Please click here to explore this offer. If you still haven’t jumped into creating your own videos and visuals, I’ve got one quickie example for you below, and perhaps this quote from a true, social media marketing thought leader will also inspire you? For me, being able to create on the iPad, without a mouse or trackpad, sitting in my easy chair is more fun and relaxing than sitting in front of a computer, even a light laptop. As an innovator, I also notice the creative juice that flows through the Apple’s iPad eco-system. The fact is that this app as well as others that I use regularly—like Paper from Fiftythree.com—are iPad-only apps… and, by the way, they are also both totally free. Last weekend, I heard about Adobe’s new free iPad app called Voice. It uses your voice as a sound track. You record the audio one scene at a time. Lots of templates, clip art and royalty free photos are included. I found it to be a positive experience and intend to put it to further use. Below is my first test video created with Adobe Voice in about 20 minutes. Not bad for my first time out. One lesson that I learned in the process is that next time I will keep all of the individual scene audio snippets shorter. It would also be nice for the app to enable you to post your videos to YouTube and other video hosting services. Right now, you can share a link, post to social media, or use an HTML embed code as I have done below; but I’d have to re-record it with a screen capture program in order to post it to my YouTube Channel. Otherwise, I liked the user experience a lot and once I really get the hang of this production time will be even faster. Overall, using Voice was fun and I think it’s a great new option for communicating on The Visual Web. Fundamentally, humans are predominantly visual creatures, and according to a study from National Formosa University in Taiwan, this is reflected in our computer environments—especially in this age of social media! Bottom line, you may produce the most compelling written content for your business blog and social media marketing efforts, but if you don’t have the right visual content to make it more engaging, you may never see decent conversion rates. To effectively promote content in social media, mix up what kind of visual content you’re using. Photos. Whether you’re using your own photographs, stock photography or a digital vector, you’re going to need a relevant image(s) to go along with your content. Case in point: Marketing blogger Jeff Bullas reports that articles with images get 94 percent more views, and on Facebook, photos get 84 percent more click-throughs than their counterpart text-based posts, according to Kissmetrics. Failing to add a photo can mean a major loss of conversion. Also, let’s face it—the article just looks nicer with an image or two. Video. Integrating video into your social media campaign not only grabs people’s attention, but it helps you stand out as an authority in your field. To create customized video about your area of expertise, use a marketing service like ComBridges or just shoot and upload via YouTube, or use Google Hangouts On-Air as I have done above. If you simply need royalty-free stock video, try a site like Shutterstock. Animated GIFs. Sites like Buzzfeed, Distractify and Tumblr use animated GIFs frequently. These sites get shares into the tens of thousands and views into the millions. With the widespread use of broadband, these kinds of images are far more high-tech and user-friendly than they used to be. They’re a great way to market pop culture events or tutorials without requiring the user to watch a video. If you’re trying to get a quick point across, use a GIF. Infographics. Your target audience may not want to read a wall of text. Instead, offer them quick and easily accessible information (with credible sources) in the form of a visually engaging infographic. In fact, infographics have become so popular in recent years, you can search for just about any topic you’re interested in followed by the word “infographic,” and chances are, there is one available. And all of this is just the beginning. In future posts, I’ll write more about things like Instagram, Pinterest, SlideShare and more. Please subscribe via the links above to be notified. Because “The Visual Web” is all about graphics and images, color is key. Color sets off certain signals in your brain, even if you’re not aware of it. For example, the color red is exciting and stimulating, while blue is considered calming and trustworthy. Take a look at different business logos and advertisements as you’re driving down the street. Note what kind of an emotional appeal they have for you. 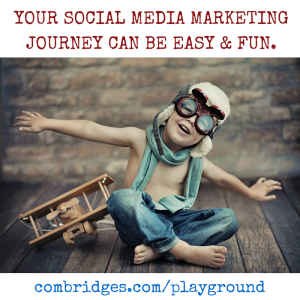 Use this same type of approach in your social media efforts. Depending on the emotional response you want to convey, choose your imagery and colors within the content carefully. Visual.ly has a great infographic on the psychology of color that can help you make good color choices for your social content. Need help with your Internet marketing strategies? 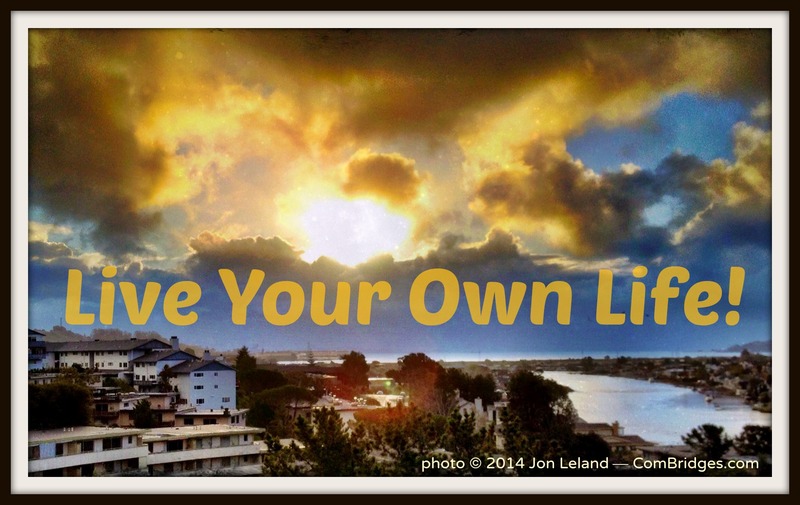 Jon Leland’s “CSO-to-Go” packages start as low as $498. I’m turning a corner in my business. I’ve realized that my values are the more important than my (so called) value proposition. And the real eye opener for me was the way that my business coach explained that this approach can actually open up new revenues. Values = $$? Really? The foundation for this story is the way that I’m discovering that my core values of ease, fun and authenticity have become even more important than our company’s skills and talents with Internet marketing strategy, website design, video production, social media marketing, SEO and the rest. Sometimes this kind of branding/positioning is as simple as adding a line about these values to an email of introduction (and, yes, just last week a prospective client made a point of telling me that she appreciated the fact that these values were included in my email. There was an added element of rapport created even before we spoke on the phone). This values-based approach really gets juicy when it’s applied to a new breed of video that I’m calling a “rant.” Rant videos are further explained and illustrated below. 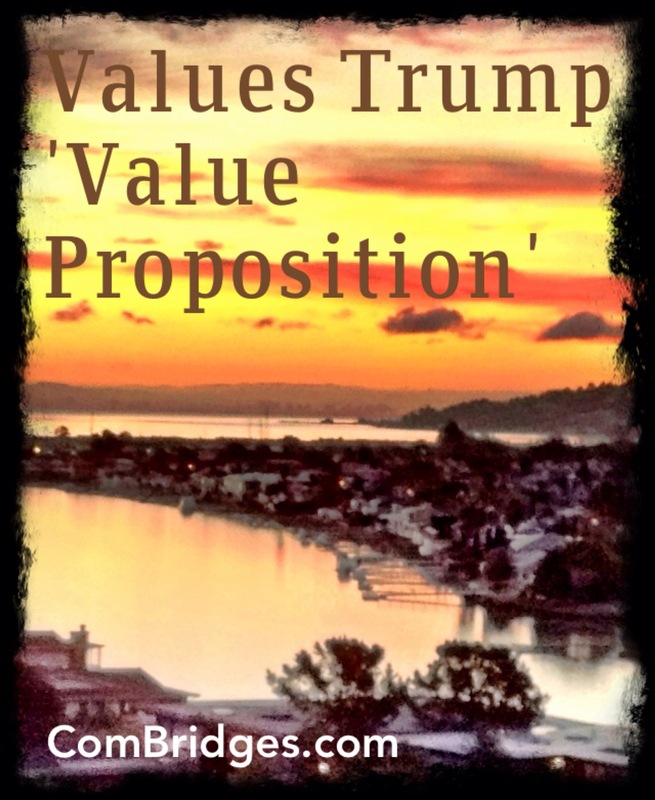 Another unexpected result of this awakening for me is that my long-established axiom of “Leading with Value” (Key Concept #8 in my book) is causing me to choose to position myself and my company’s work more clearly around our own core values. The video above is my latest experience with both real time marketing and the art of the video rant. My friend and client, veteran executive coach and management consultant, Nancy Monson and I were having a marketing consulting session. The day before I had been on a group coaching call with Andrea J. Lee where she had said what’s quoted above about the power of the video rant to both reveal passion and open revenue flows. As I directed Nancy to speak her truth about why most executive coaching doesn’t produce the desired results, she lit up. Recognizing that we were getting to the heart of her values and her commitment to make a meaningful difference, I said, “Let’s capture this, so we don’t have to write it down.” At first she thought I was going to make an audio note. But, after a slight hesitation, she agreed to let me record this video with my iPhone. The video rant above is the result. I salute Nancy for her courage to swing out in this way and I’m pleased with how her knowledge and commitment to results have been made visible. PS. If you are interested in bringing more of your authentic passion and core values to your online marketing, please contact us. We’d love to help. Who among us has never done something because someone else told them they should, even when all along their own gut intuition was telling them to do something different (which, of course, would have been “the right thing”)? How many of us do the same kind of “giving ourselves away” with Internet marketing, for example, by thinking that social media marketing, blogging, content marketing or video is something we really “should” be doing, despite that fact that we really don’t have any passion for it? Unfortunately, we’ve all done some version of this; and this kind of behavior, usually both personally as well as professionally. That’s the subject of my new Authenticity Rant video (#2) that I recorded this morning via Google Hangouts On-Air with my colleague, Peter Klein. We used Peter’s incantation, “Live Your Own Life,” as our theme; and I connect the dots between that and the best kinds of “sparks” I know that can light the “fire” (that I think is necessary) for the success of your Internet and social media marketing. Yes, there’s more to successful marketing than formulas or even strategy. And, “living your own life” with regard to your marketing communications is not necessarily easy; but in my experience, it’s worth every ounce of effort that you put into it. I’d love to hear your thought on this video and these ideas. Thanks!